What is the cheapest way to get from Morristown to Pompton Lakes? The cheapest way to get from Morristown to Pompton Lakes is to drive which costs $1 - $3 and takes 22m. What is the fastest way to get from Morristown to Pompton Lakes? The quickest way to get from Morristown to Pompton Lakes is to taxi which costs $80 - $100 and takes 22m. 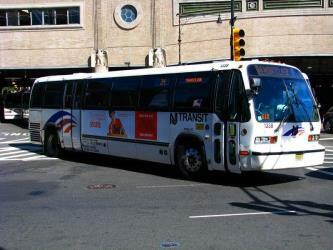 Is there a direct bus between Morristown and Pompton Lakes? No, there is no direct bus from Morristown to Pompton Lakes. However, there are services departing from Spring St At Water St and arriving at Wanaque Ave At Cannon Ball Rd via Willowbrook Mall Shoppers Stop. The journey, including transfers, takes approximately 1h 43m. How far is it from Morristown to Pompton Lakes? The distance between Morristown and Pompton Lakes is 18 miles. The road distance is 19.8 miles. How do I travel from Morristown to Pompton Lakes without a car? The best way to get from Morristown to Pompton Lakes without a car is to line 874 bus and line 197 bus which takes 1h 43m and costs $2 - $9. How long does it take to get from Morristown to Pompton Lakes? It takes approximately 1h 43m to get from Morristown to Pompton Lakes, including transfers. Where do I catch the Morristown to Pompton Lakes bus from? 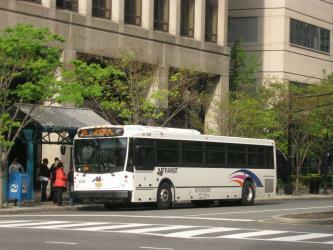 Morristown to Pompton Lakes bus services, operated by NJ Transit, depart from Spring St At Water St station. 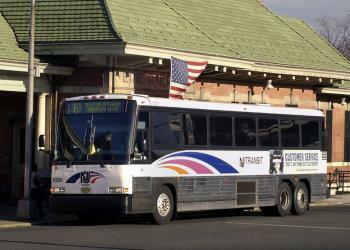 Where does the Morristown to Pompton Lakes bus arrive? 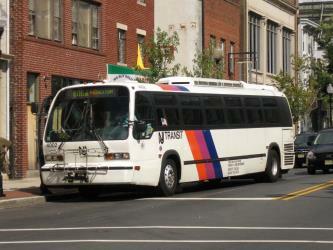 Morristown to Pompton Lakes bus services, operated by NJ Transit, arrive at Wanaque Ave At Cannon Ball Rd station. Can I drive from Morristown to Pompton Lakes? Yes, the driving distance between Morristown to Pompton Lakes is 20 miles. It takes approximately 22m to drive from Morristown to Pompton Lakes. Where can I stay near Pompton Lakes? There are 110+ hotels available in Pompton Lakes. Prices start at $84 USD per night. What companies run services between Morristown, NJ, USA and Pompton Lakes, NJ, USA? You can take a bus from Morristown to Pompton Lakes via Willowbrook Mall Shoppers Stop in around 1h 43m. Rome2rio's Travel Guide series provide vital information for the global traveller. Read our range of informative guides on popular transport routes and companies - including Travel Insider: Top Japan travel tips by Beatrix Holland, Need to know: Eurostar and The beginner’s guide to the 2018 World Nomad Games - to help you get the most out of your next trip. Discover how to get to attractions and hotels near Pompton Lakes. Norvin Green State Forest is a 4365 acre state forest in Bloomingdale, New Jersey, United States, near the Wanaque Reservoir. It is part of the Northeastern coastal forests ecoregion. The forest is accessible by foot only; it is part of the Wyanokie Wilderness Area and contains an extensive trail system built on old logging roads, several of which connect with trails in the Weis Ecology Center and reservoir property. The trails climb hills up to 1300 feet and provide views of the Manhattan skyline, the Wanaque Reservoir, Burnt Meadow Brook and Lake Sonoma. The park is operated and maintained by the New Jersey Division of Parks and Forestry. The Great Falls of the Passaic River is a prominent waterfall, 77 ft high, on the Passaic River in the city of Paterson in Passaic County, New Jersey, United States. The falls and surrounding area are protected as part of the Paterson Great Falls National Historical Park, administered by the National Park Service. The Congress authorized its establishment in 2009. Ramapo Mountain State Forest is a 4200 acre state forest in Bergen and Passaic Counties in New Jersey. The park is operated and maintained by the New Jersey Division of Parks and Forestry. Campgaw Mountain is the northernmost ridge of the volcanically formed Watchung Mountains, straddling the border of Franklin Lakes, Oakland, and Mahwah in Bergen County, New Jersey, United States. Located almost entirely within the bounds of Campgaw Mountain Reservation, the mountain offers numerous outdoor recreational opportunities, including the only ski slope in the Watchungs. Campgaw Mountain is commonly considered to be part of the greater Ramapo Mountains region, but the flora and geology of the mountain is quite different from the surrounding area and more closely resembles the nearby Preakness Range to the south. Rome2rio makes travelling from Morristown to Pompton Lakes easy. Rome2rio is a door-to-door travel information and booking engine, helping you get to and from any location in the world. 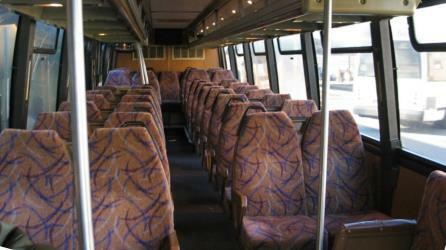 Find all the transport options for your trip from Morristown to Pompton Lakes right here. Rome2rio displays up to date schedules, route maps, journey times and estimated fares from relevant transport operators, ensuring you can make an informed decision about which option will suit you best. Rome2rio also offers online bookings for selected operators, making reservations easy and straightforward.